Read the story of Mr. Bartholo-Meow as thinks inside his scuba bubble…. 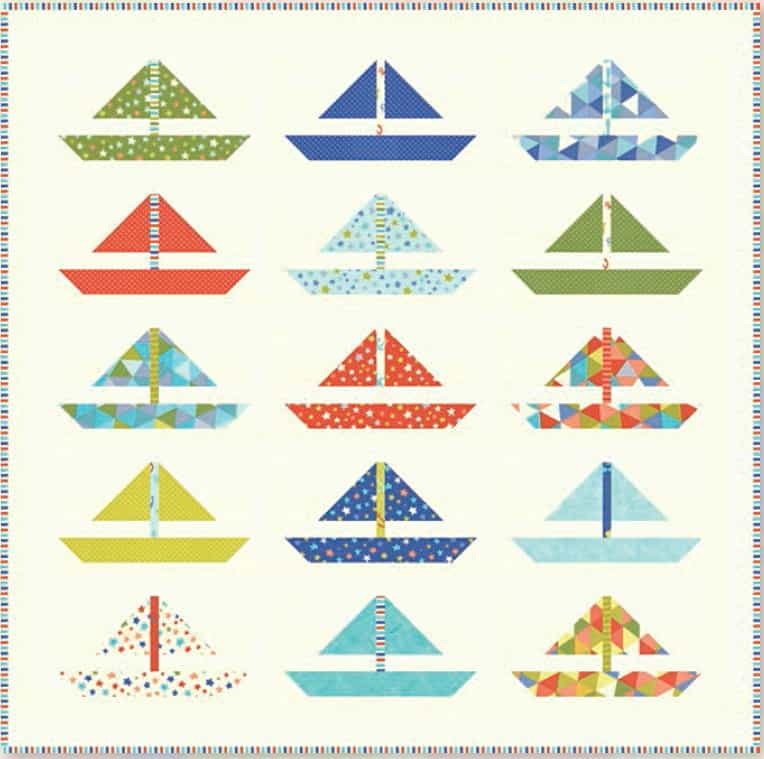 Bartholomeows Reef Quilt Kit Kit includes easy color illustrated pattern all the fabric you need to make the quilt top just as shown. Finished measurement is 44″ x 44.5″. Binding is included. Backing & batting not incl. 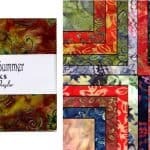 All fabric is 100% premium quality Moda fabric. Collection Description: The story began with our dear friend Mr. Bartholo-Meow out for an afternoon adventure bobbing along under the beaut8iful, briney sea. As he passed by one adorable, friendly sea creature after the next he felt very inspired. “Hmmm how long could I bring all of you up to say hello to the land children?” As he bobbed…and thought…and bobbed… and thought, a treasure of an idea popped into his mind. He knew just the thing. Just the thing that would make kids giggle as they wrapped themselves up in their cozy new quilts. 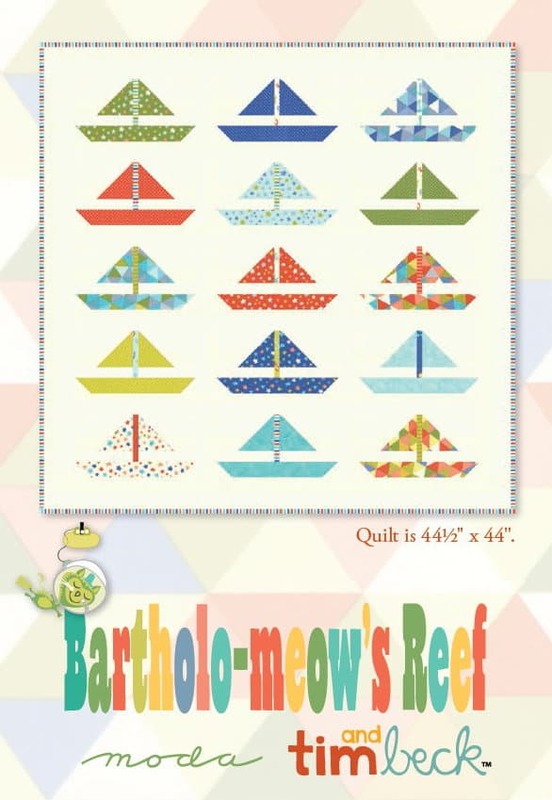 “I shall create a fantastically fun fabric collection!” declared Mr. Batholo-Meow to himself, inside his scuba bubble.